Study Says Poor Black Men Die Sooner Than Poor White Men -- But Why? 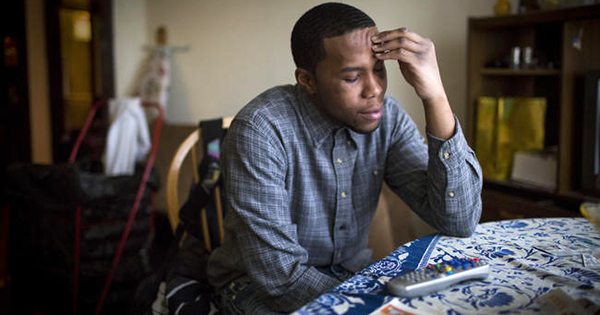 A recent study which revealed that black men living in poverty have an increased risk of dying had researchers wondering why race would make a difference. Why would black men living in poverty die sooner than not only white men but also black men living above the poverty level? The study was conducted between 2004 and 2013 by researchers at the U.S. National Institute on Aging. What they found was that income had a significant impact on life span among black males but not on white males. Black men who lived at or below 125 percent of the federal poverty level were twice as likely to die during the study period, compared to black men living above the poverty level. The difference was insignificant when comparing white males living below or above the poverty level. Some of the reasons for the disparity were speculated to include factors such as less education, lower income and poorer job prospects among black males. All these factors could play a significant role in lowering their life span. The study showed a glaring condition of poverty among African Americans that "can be considered a life-threatening disease," according to Dr. Liron Sinvani, an investigator at the Feinstein Institute for Medical Research in Manhasset, New York.